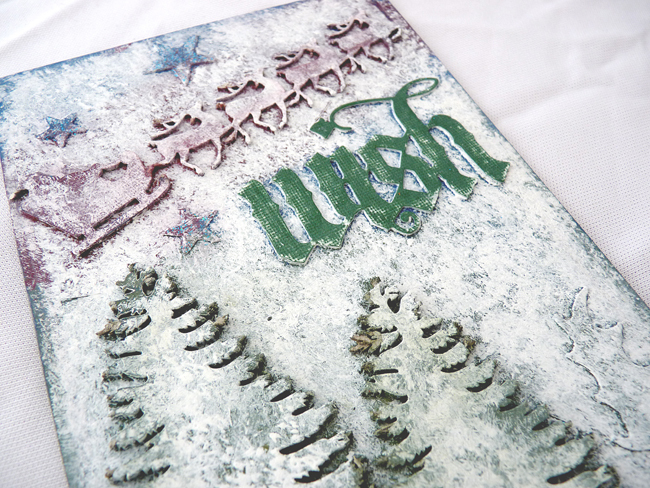 I have so enjoyed making this selection of cards with chalk paints, chipboard pieces and die-cut card. 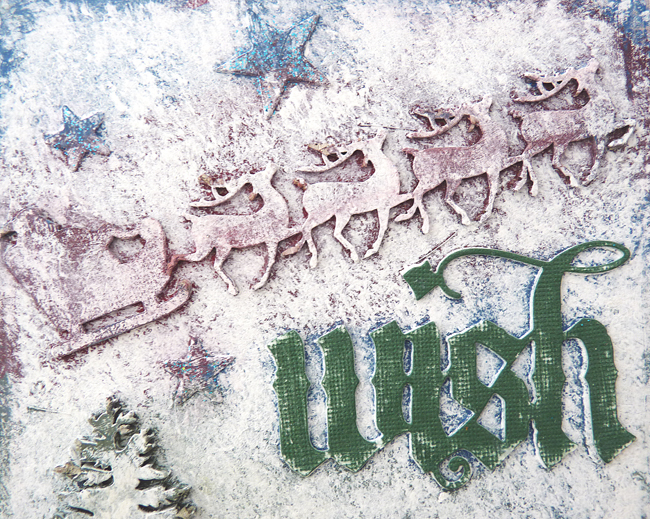 Others can be found by scrolling back (or clicking Reindeer Wish or Snowflake Noel) and you will see completely different designs but more or less the same technique to make them. ..... and the white is chalky finish paint stippled over. 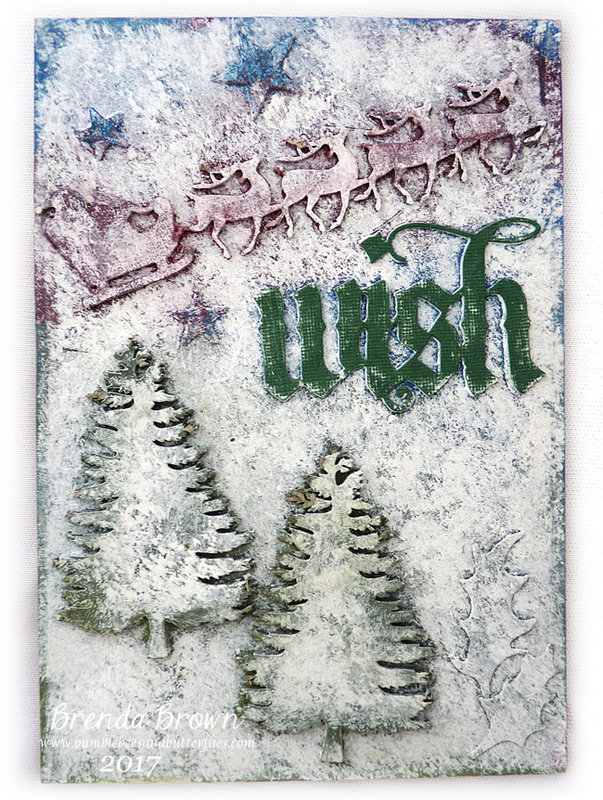 The sentiment is a Tim Holtz die. I die cut an easel from mountboard using the Tim Holtz die and added it to the back to give it the support it needs to stand up. My wish for Christmas is for a peaceful world where people live happily and in harmony together. This is an adorable project Brenda! Very Merry Christmas to you and a creative and healthy new year to come! Happy Christmas wishes to you and your family. 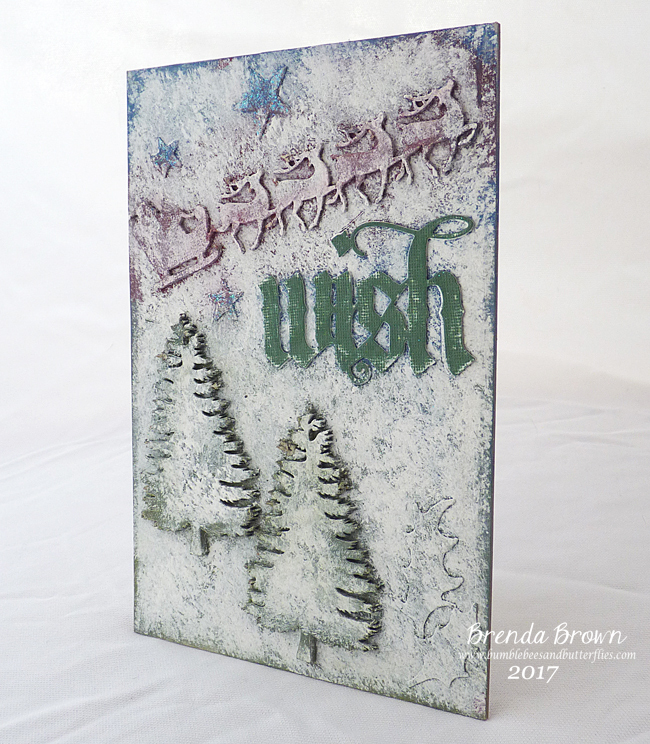 I am loving your background technique on this card! So pretty.